Dog aggression and leash aggression are two of the most common issues we see when owners come to us looking for assistance. Whether you’ve noticed your dog snapping at other people or dogs, or if they’ve only started getting rough when on a leash, we can help. When your dog is aggressive with other dogs, it can be tough to know what to do. Whether he’s lunging, snapping, or snarling, the other dog will either back away in fear — or get ready to fight back. 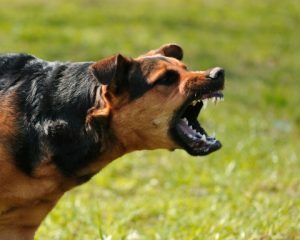 Some dogs become aggressive because of past experiences while others do it out of fear or for health reasons. We provide constructive solutions to dog aggression that can help alleviate the problem. Some dogs are completely fine when they are off their leashes and walking alongside their owners, but as soon as a leash is hooked on, it’s as if a new, angrier dog appears. Many owners can keep their dog from attacking others while on his leash, but it’s often more of an embarrassing hassle than a dangerous situation. The source is usually frustration at the leash tension and a lack of social skills when making friends. We can teach you how to alleviate this problem. Reach out to K9 & You today to sign up for our aggression classes. We can help you find practical and effective solutions to your dog’s negative behavior.